LensCoat LensPouch from LensCoat on Vimeo. 3"Ø X 4"L - Actual pouch dimensions. Allow an extra .75"-1" length beyond the lens length for proper fit. 3.2"Ø X 6"L - Actual pouch dimensions. Allow an extra .75"-1" length beyond the lens length for proper fit. 4"Ø X 5"L - Actual pouch dimensions. Allow an extra .75"-1" length beyond the lens length for proper fit. 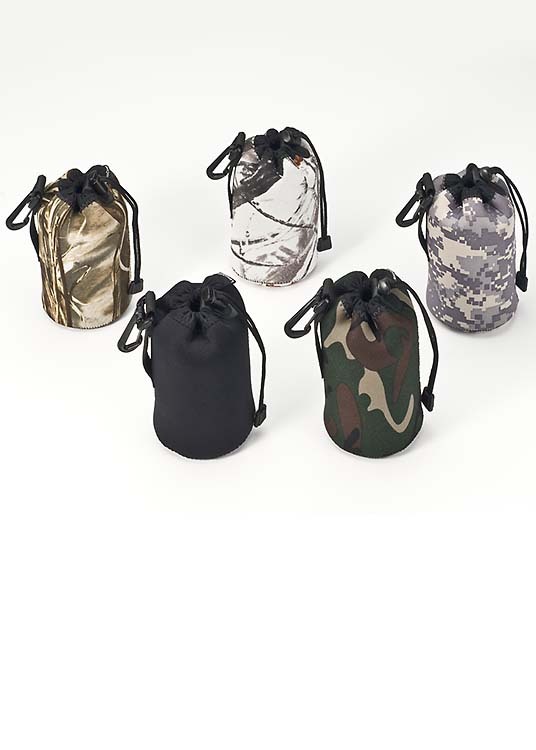 LensCoat LensPouches are available in Black, Forest Green, Realtree Max4 , RealTree Max5, Realtree Snow, and Digital Camo. 3.6"Ø X 9"L - Actual pouch dimensions. Allow an extra .75"-1" length beyond the lens length for proper fit. 4.5"Ø X 8"L - Actual pouch dimensions. Allow an extra .75"-1" length beyond the lens length for proper fit. 4"Ø X 12"L - Actual pouch dimensions. Allow an extra .75"-1" length beyond the lens length for proper fit. 5"Ø X 11"L - Actual pouch dimensions. Allow an extra .75"-1" length beyond the lens length for proper fit. 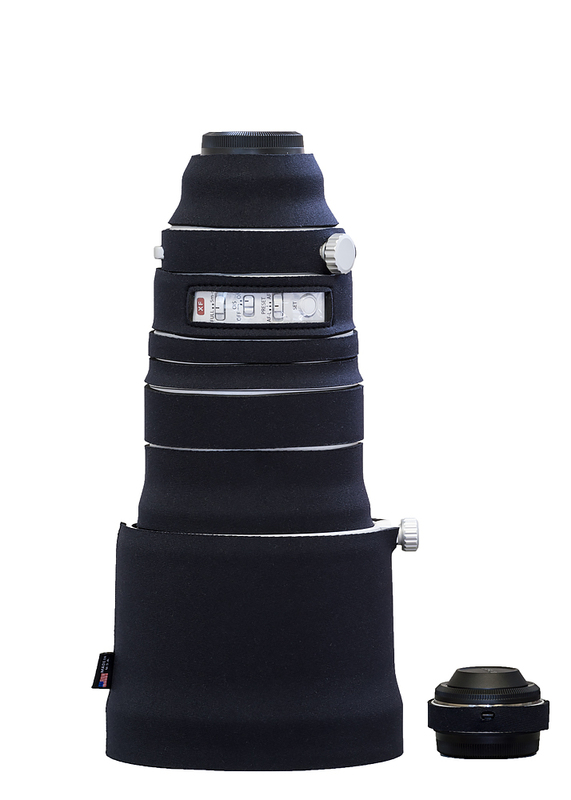 The LensCoat® LensPouch® are soft neoprene bags to store, carry, and protect your lenses and other incidental camera equipment during travel and transport in the field. Available in eleven different sizes for the perfect fit, the LensPouch includes a removable reinforced front element protection disc for protection and stability.. An easy pull cord closure allows fast and easy access. The LensPouch 2XL has a handle on the side and flattens and compacts when empty for easy storage. 5.5"Ø X 12.5"L - Actual pouch dimensions. Allow an extra .75"-1" length beyond the lens length for proper fit. 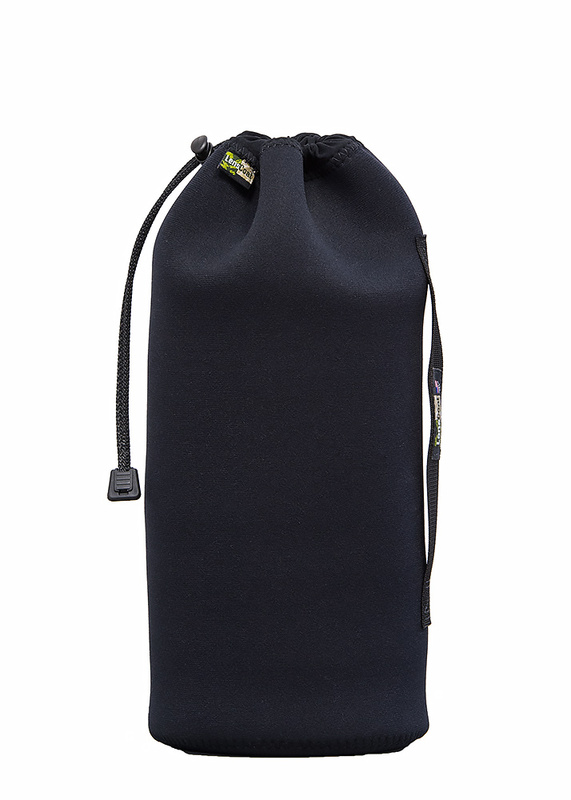 The LensCoat® LensPouch® are soft neoprene bags to store, carry, and protect your lenses and other incidental camera equipment during travel and transport in the field. Available in eleven different sizes for the perfect fit, the LensPouch includes a removable reinforced front element protection disc for protection and stability. An easy pull cord closure allows fast and easy access. The LensPouch 3XL has a handle on the side and flattens and compacts when empty for easy storage. 6"Ø X 13"L - Actual pouch dimensions. Allow an extra .75"-1" length beyond the lens length for proper fit.